TGI Friday's announced a new animal welfare policy this week, one of several top food companies to take the plunge into what's becoming a crowded pool. TGI Friday's 2024 welfare pledge includes a preference on chicken breeds: The family dining restaurant committed to only source breeds the Global Animal Partnership has identified as slower-growing. Fast-growing breeds represent 98 percent of all commercially-available chicken meat in North America. But the Global Animal Partnership (GAP) says fast-growing chickens can grow so large that they become crippled from their own body weight, which can result in injuries and sometimes even early death. Slower-growing chickens also need less antibiotics, fewer veterinary visits and are more active. GAP plans to phase out fast-growing chicken breeds for all levels of its five-step rating program and replace them with slower-growing breeds in the coming years. TGI Friday’s also committed to source only chickens that are allowed better space allocations and better environments that include litter, lighting and enrichment, in accordance with GAP’s standards. The restaurant company will also only source chickens that are processed through a more humane multi-step process and will ensure that its suppliers comply with its commitments to third-party auditing. This week General Mills also pledged to source only cage-free eggs for all of its global operations by 2025. 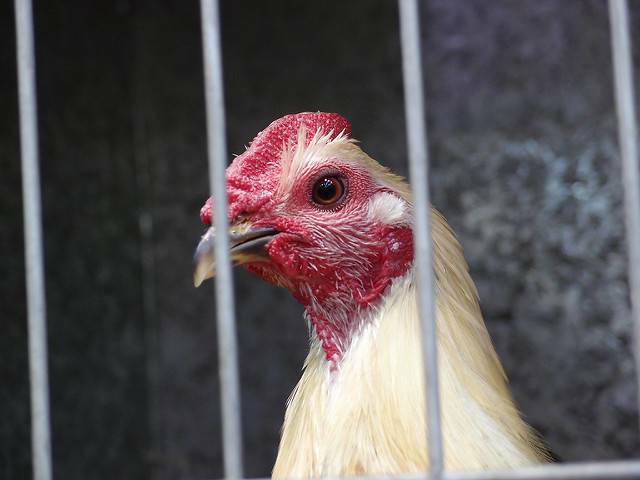 It committed to work toward the cage-free goal for the U.S. and Canada back in 2015. Animal welfare groups play a big role in mobilizing consumer action against companies to urge them to adopt better standards. The Humane League launched two such campaigns as of late. The 88 Percent Campaign targeted what the NGO deems the worst abuses in factory farming against chickens raised for meat, which represent 88.7 percent of all farm animals in the U.S.
Part of the 88 Percent Campaign specifically targeted TGI Friday's and Au Pon Bain. The campaigns targeting both companies included Humane League staff members and members of its online platform, Fast Action Network, taking action through social media posts and direct emails. The Humane League and other animal welfare groups spearheaded a similar campaign last year to free egg-laying hens from cages. The campaign, Open Wing Alliance, was introduced at the first Global Summit to End Cages in Warsaw, Poland. Seventeen OWA member organizations from 22 countries were present at the summit. Over 12,000 people watched the launch of the campaign, which targeted General Mills, on Facebook Live. And over 28,000 people signed a petition in under two weeks.